Ranger Gemma bought me a present this morning and since its very nearly my birthday I got excited. 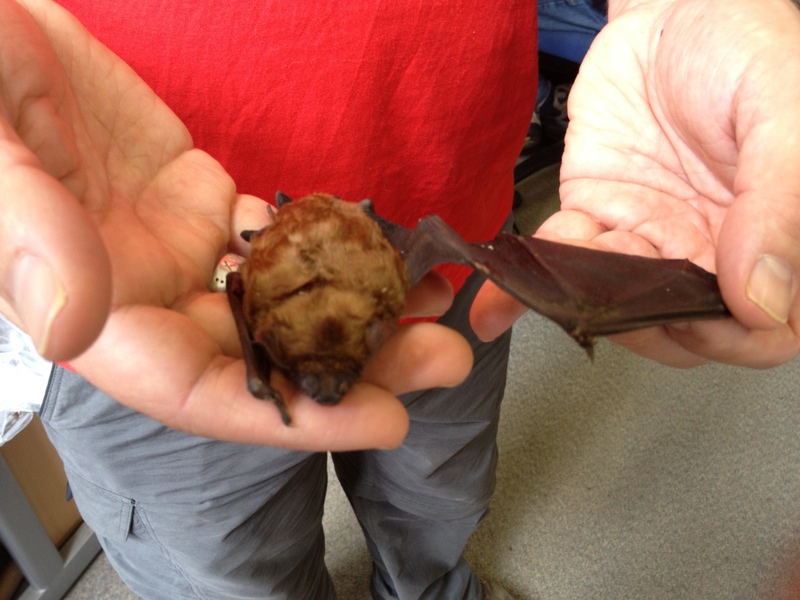 Then she produced a small plastic bag and out of it pulled this Noctule bat who had caught her last insect on the wing. 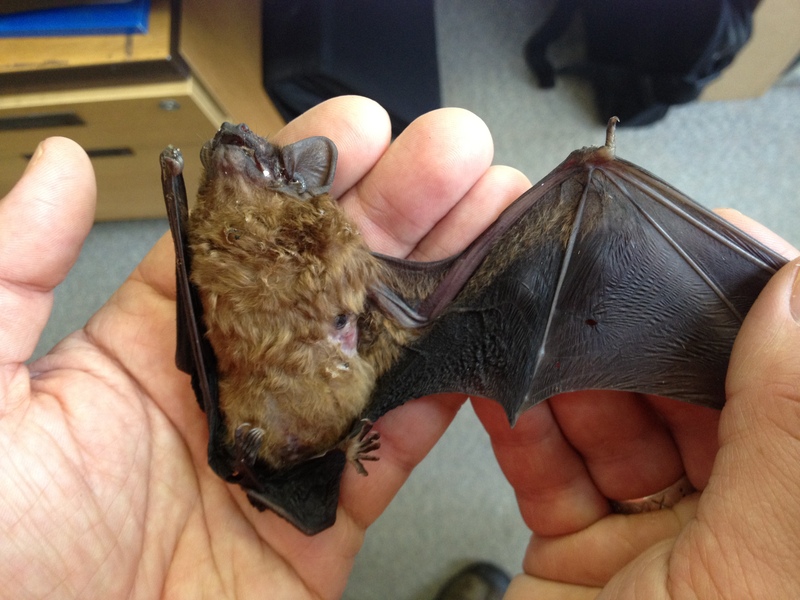 Gemma had found her at at Wisley Common and by the look of the bat she had died fairly recently- her body still soft, limbs with a full range of movement, without any tightening or dessication. She had a puncture mark under her left wing and scratch marks to her face, the wing membrane holed in places; she had definately been in a fight. 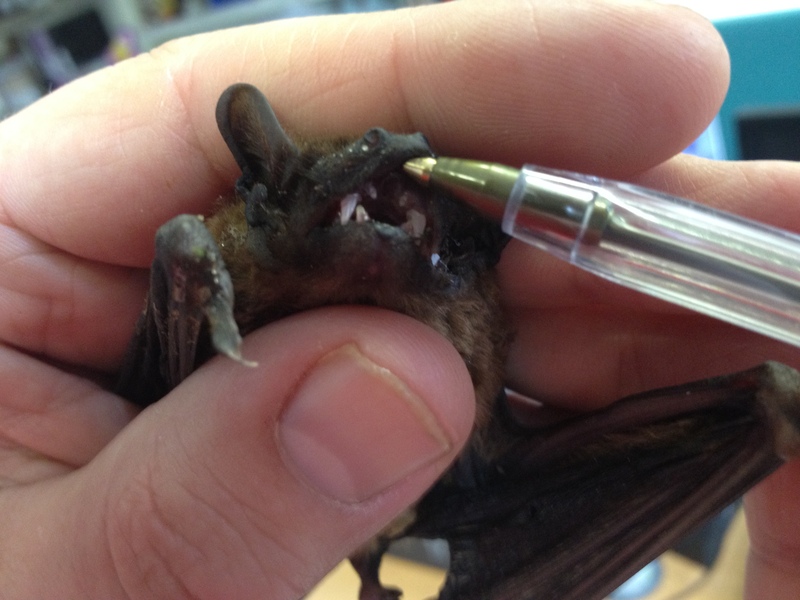 My colleague Mike, whose knowledge of bats exceeds mine, supposed that she had been attacked by a bird, possibly a starling which are known to raid bat roosts. 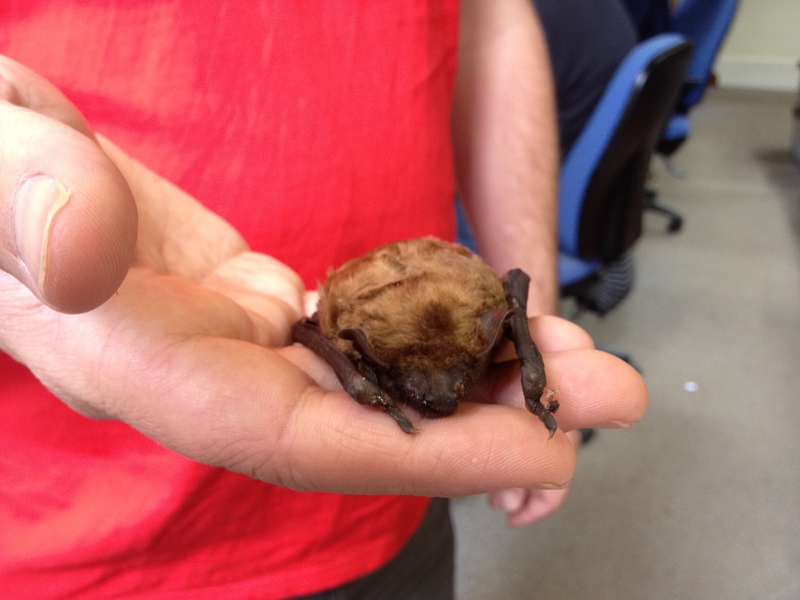 The Noctule other-wise seemed in good health- 32g in weight with a fore-arm length of 52mm- big even for our the Noctule, one of our bigger bats. There was no signs of breeding or lactation which could itself be a sign that all is not well- surely at this time of year she should have young? The wet weather is putting a lot of pressure on our wildlife. Sad as I was at the demise of the noctule, I was in awe of the animal. I know my way around a bat detector but don’t get to see many bats close up, which I’m going to have to remedy. The brilliance of the modified mammalian hand for flying; the soft hazelnut-coloured fur, a mouth full of teeth which had spelt the doom of how many moths? Wonderful that like some quantum conundrum I can hold both sorrow and delight in a single moment.